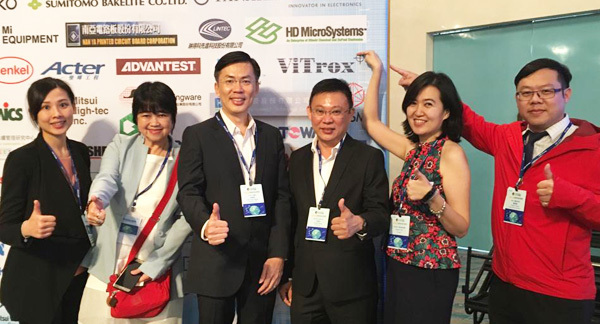 PENANG MALAYSIA - April 2019 - After winning Supplier Recognition Award from ASE Malaysia in January, ViTrox Technologies was once again awarded “Supplier Recognition Award” in ASE Taiwan Awards 2018 held on 14th March 2019. Similar to Malaysia branch, ASE Taiwan recognized ViTrox for its advanced vision solution and services provided. As an annual recognition to appreciate the efforts of suppliers, ASE Taiwan invited 20 equipment suppliers from different regions to attend this remarkable event in Kaohsiung. ViTrox protrudes itself among other competitors for several reasons. For instance, real-time on-call support, fast on-site response, supportive to their customers’ future needs, and commit to continuous improvements in its technology and capabilities to meet ASE’s requirements. As a semiconductor manufacturing service provider, ASE Taiwan acquires TH1000i (Tray to Tray Vision Handler) and TR2000i (Tray to Tape & Reel Vision Handler) from ViTrox Technologies. Both machines perform final inspections on various IC packages handled in the semiconductor industry. “Honoured to receive the same award again, we promise to keep up the hard work, continue providing the advanced vision system, and march to achieving vision alongside ASE Group as well,” Mr Chu Jenn Weng, the President and CEO of ViTrox proclaimed.